We love giving back to our community and supporting our friends and neighbors . Here’s just a few of the things we are doing. 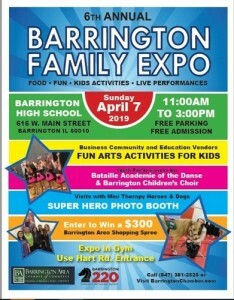 We will be taking part in the 2019 Barrington Family EXPO on Sunday, April 7 from 11 am to 3 pm at the Barrington High School. The expo is free and open to the public. There will be food, fun, kids activities and live performances. Stop by our booth for your chance to win an Oral B electric toothbrush! Join us on Thursday, April 25 from 6 to 9 pm for a night of literary fun and the opportunity for a quick facial touch-up. Want to feel rejuvenated and ready for spring? Then take advantage of our special offer. 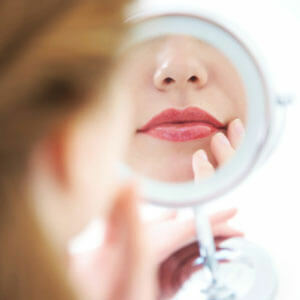 For Thursday night only we will be offering Botox at $12 a unit and Xeomin at $10 a unit. We will also be hosting romantic suspense author, Nickie Nalley Seidler, who will be signing copies of her books during this event. One lucky person will win a signed copy of her best-selling book, A Tattered Love! Books will available for purchase too. Refreshments will be served and RSVPs are required. Call (847) 865-4278 to reserve your seat today!